Ove Johansson presents a CD box with 7CDs. and two CDs with short improvisations. Recorded during a tour to California with the two American guests. The first 40 minutes is live from a concert at CNMAT, Berkeley University, the rest is recorded in studio the same day. A sudden meeting with four musicians from the west coast of Sweden. Three sessions, improvised, which to this doubleCD. MWENDO DAWA MUSIC - the title describes the personal and recognizable sound of MWENDO DAWA. Despite its long existence MWENDO DAWA still is a force into todays new music both in expression, technique and instrumental control. Jazz - freeform - fusion - avant garde - electro acoustic music - but foremost exciting and unpredictable music. Provocative? Challenging? Creative? - The music is definately not halfhearted and wants to give the audience a challenge - which once was the soul of Jazz. Improvised music where live electronics smoothely integrates with the acoustic instruments. Music that requires concentrated listening, but also music with a great portion of humour and exciting ideas. Their foremost sign is to all the time keep moving on for developing their music. Excursions presents the third soloCD of Susanna Lindeborg in sparkling personal piano improvisations. A couple of tracks combined with electro acoustical back grounds. Here he uses sound combinations as chord changes or mixed with electro acoustic sound design, all in the spirit of improvisation. The music is a symbiosis of Norrström’s compositions and the free improvisations by the trio, rolled out from a skein with many elements: Swedish folk music, free improvised electric jazz, European art music, with the whole jazz history as an important basis. Experience Mwendo Dawa! Jazz - freeform - fusion -avant garde - electro acoustic music or just Mwendo Dawa! duo pantoMorf plays electronic free impro - they perform improvised electronic music as musicians, NOT looking like they are checking e-mail on stage. This international trio from Switzerland and Sweden has a definite sound: polyrythmic layers of disintegrated melodies, strings unleashed, sometimes close to acoustic electronics. A dynamic, intensive, ever moving web of tentacular sound structures. The music is a symbiosis of Norrström's compositions and the free improvisations by the trio. It has intense, energetic and dynamic ensemble playing, with rapidly changing musical sceneries. Unique direct mixed live recording at jazzcluub fasching in Stockkholm. Contemporary ethnic music from the baltic sea with sten sandell. Christer Bothén: Bass Clarinet, Doso n´Goni,Kamale n´Goni, Guimbri. There is no real screaming or roaring about here. Instead the small sounds open up and reveal their inner construction and richness. Electro acoustic music, ambience, serial music, free improvisation and techno make ground for the music of Natural Artefacts. A new generation of musicians not afraid to blend old and new ideas in todays jazzmusic. Susanna Lindeborg: Piano / Keyboard. One way to discover time signs in contemporary acoustic and electronic Jazzmusic combined with soundsculpting improvisations in real time. The music on this second album emanates from a symbiosis of Norrströms compositions and the free improvisations by the trio. It is marked by an intense, energetic and dynamic ensemble playing, with a great sense for nuances and for rapidly changing musical sceneries. LJ Records presents in cooperation with ICMC 2002 in Göteborg seven compositions on this CD. The music represents the latest developements intenationally in electro acoustic music, computer music and live electronics. These compositions have been selected by a jury to be presented on this CD of ICMC 2002. Compositions for Tenorsaxophone improvisations with backgrounds of EWI improvisations and electronic soundsculpting. Strong personal voices in the field between the abstract and the figurative. Sparkling piano improvisations in many colours of a great artist. A couple of tracks combined with electro acoustic sounds. Natural Artefacts addresses the following questions: what is real, what is artificial, when is now, is there a definite border between real and artificial, when do you cross the border? Back Street Theatre is a little place hidden in a short dead end street. It is not big, but there is always something going on. Sten Sandell: voice and electronic sounds. Electro biological solo-flights. Voices meeting techno. Acoustic instruments mixed with selected electroacoustic sounds. The music emanates from a symbiosis of Norrström´s compositions and the free improvisations by the trio. It is marked by an intense, energetic and dynamic ensemble playing, with a great sense for nuances and for rapidly changing musical sceneries. Susanna Lindeborg: Piano / keyb. Musical opinions and experiences in composition, straight and free Jazzimprovisation. Acoustic and electronic meeting in a different way perhaps? The NO BASS setting is a path to achieve a group sound in which the nerve and communication of an intimate and vital interplay is at the center of importance. New young group with a lot of energy and new concepts in Jazz of our time. Music of three strong personalities and their great experiences in Art Music. Direct mix to dat, to get a Live feeling in the studio. Great Swedish improviser and composer. His ideas are sharply defined and spaced out within tightly focused pieceswhich are all selfpenned. Live concerts recorded during a tour through Sweden in '96. A unique mix between composed music and improvisation - all with a significant nordic sound. 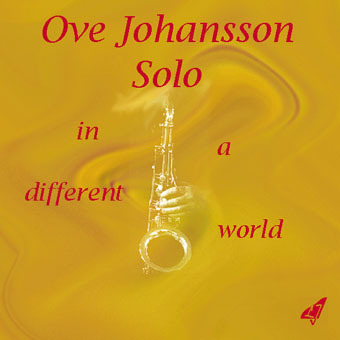 Ove Johansson: Tenorsaxophone / EWI / Soundsculpt. Acoustic and electronic jazzimprovisations together with serial composed backgrounds of electroacoustical character. Staffan Svensson: Trumpet / perc. Bo Wiklund: Piano / keyb. Per Ekblad: Drums / perc. 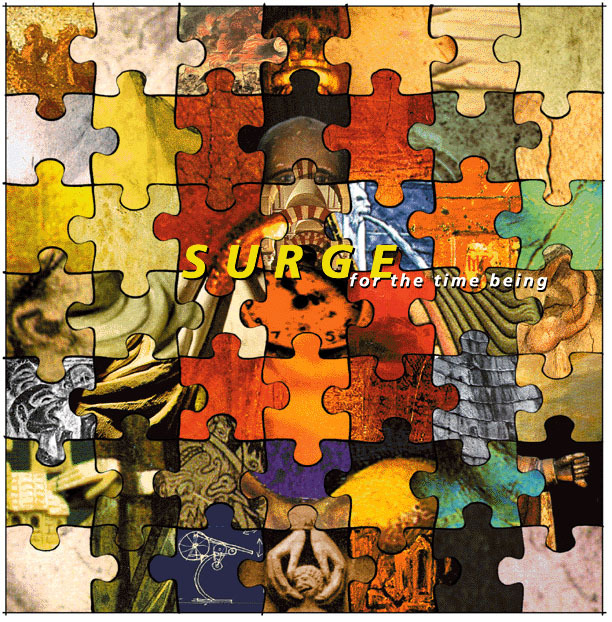 The group SURGE is an ensamble one of its kind creating its own path in modern improvised music, with new sounds and forms in creating contemporary music. Three individuals from different musical environments establish new grounds for modern improvised music where jazz and free music meet. The original cover painting is cut in 1000 pieces and each CD contains a signed original. Direct mix to dat, to get a Live feeling in the studio. Some compositions are based on uncomplicated twelve tone technique and some are free improvisations over backgrounds of electroacoustical character. Recorded August 1995. Improvisations together with poem fragments by famous Swedish poet Gunnar Ekelöf (1907-1968). No need to understand Swedish - his voice is an instrument. A new generation Swedish jazz musicians that take care of contemporary Swedish culture. The voice of Gunnar Ekelöf is from the archives of the Swedish Broadcasting. This music is unique because it would be impossible without these special musicians,unique because it is impossible and unthinkable to repeat this performance. A delicate mix of the sound of acoustic instruments, synthesizers and samplers. Virtual group with Human beings, fractalcomposed music, Virtual Chaos Band and the great Swedish singer Jussi Björling sampled. Lars-Erik Norrström: Piano/synth. Composer and keyboardvirtous. Lars-Erik Norrström presents compositions on a very high level. This CD also contains Live controlled computer improvisations. Visit homepage of Lars-Erik Norrström. ENTRA´s music has a very strong Scandinavian touch. ENTRA is the nordic light in contemporary music. Piano and saxophone in acoustic compositions, also combined with samplers, synths and computer. Four strong personalities create a group sound highly appreciated in several parts of the world. Sax and EWI (electric wind instrument) mixed with sequencer controlled synthesizers and samplers. 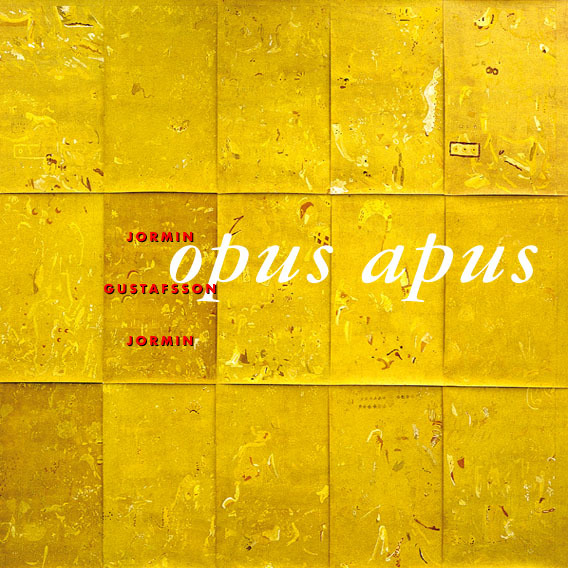 Acoustic and electronic improvised music by one of the most gifted pianists in Sweden.